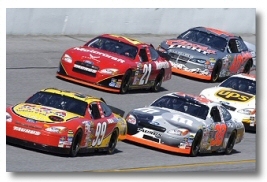 Our goal is to enjoy the races & socialize with fellow NASCAR fans. Our club does this both by going on bus trips to races and having events to watch races on the big screen at the Red Men. Joining the Red Men NASCAR club is inexspensive ($10) and therefore, a bargin to participate in our events & trips.